. 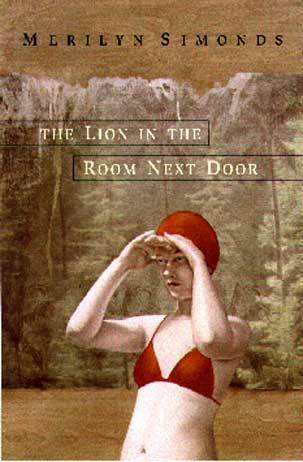 The Lion in the Room Next Door | Book Club Guide . Warning: the following questions and discussion may reveal key plot details. If you haven’t yet read the book, and plan to do so, you may wish to proceed with caution. 2. The evolving relationship of the narrator with her father, her sons, and her husbands provides one of the links between the stories in this collection. Discuss the parallels in these male familial relationships and compare them with the role that women – mothers, sisters, and friends – play in the narrative. 3. Although this is the story of one woman’s life, it is rich in universals. How does the author accomplish this? To what extent is this a book about the times and place as much as the author’s particular experience? 4. Dreams and visions figure prominently in several stories, especially “King of the Cowboys, Queen of the West” and “Song of the Japanese White-eye.” What purpose do they serve? 5. The collection takes its title from the first story, but the lion also appears in later stories. What is the significance of the lion in each story? In the collection? 6. The structure of the book is episodic: this is not the full story of a woman’s life from age 7 to 47, but rather, it sets in high relief distinct moments in a life. How does this structure mirror the themes of the book? How does the author help the reader make the leap from story to story without filling in all the gaps? Writers are often told to, “Write what you know,” but in writing these stories from my life, I was writing in order to know. Why did these particular moments haunt me? What did they mean to me then, and why couldn’t I stop thinking of them now? After spending years with The Convict Lover, struggling to understand the motivations and responses of people whose lives were far different from mine — a man in a penitentiary and a young woman in the age of Social Gospel — I felt the urge to subject the remembered fragments of my own past to the same scrutiny. There is, I think, a human instinct toward myth. Unconsciously we edit our memories to create a narrative line that makes sense of the disparate events of our lives. Many people experience the same event, but each remembers it differently. In memory, as in fiction, there is only one point of view, though it is never entirely fixed. Memory reshapes the past, while evolving memory shapes the present. It is this fluidity that infuses memory with such a deep, significant reality. I grew up with the impression that becoming “mature” was a gradual process of becoming steadily wiser, more accomplished. But I’ve discovered that life does not resemble Darwin’s evolution so much as Stephen Jay Gould’s theory of punctuated equilibrium: moments of epiphany separated by plateaus of just carrying on. This, at least, is how we remember what has transpired — as a series of events, which become the stories we tell our families, our friends, and ourselves, eventually becoming the story of our life. My travels are not unusual. We are an astonishingly mobile generation. Like our grandparents, we still associate ourselves with “place” but the relationship has changed, from a strong affiliation with one setting to an appreciation of landscape as shifting backdrop. As deraciné, as rootless, as we may feel at times, the places we call home continue to define us, not necessarily in the traditional CanLit sense of man-against-nature, but as a source and repository of personal meaning. Prose literature is not a coin imprinted with fiction on one side, nonfiction on the other. It is a continuum where invention and actual event mingle in varying proportions. In the middle ground known as creative nonfiction — where event is shaped with devices traditional to fiction — categorization can be difficult, especially when event is recalled through memory. The key lies in how a writer fills the gaps. Fiction writers invent the ties that bind, nonfiction writers must be content to speculate or let the reader leap. But whether the story revolves around actual or invented people and events, all writers aspire to universal truth.